Radiant floor for poultry farms, EXAFAN, a pioneer. Heating is one of the essential systems in a farm; it plays a vital role regarding productive costs and the fowl health. Making a good design of the facilities and of the heating control system is essential to keep the environmental temperature stable without any variation so as not to generate any animal stress episode. For the first time in Spain, and thanks to EXAFAN, this kind of facilities have been applied in several farms dedicated to the breeding of poultry, despite of having been used before in all kinds of farming facilities, in fact, it is very usual in pig farms. EXAFAN, , as a world leader in the development of automation systems for the poultry industry, always tries to create the very optimal conditions in terms of the internal housing equipment for the animals and also in terms of the farm management through the combination of climate control, feeding automation and the remaining elements influencing on the development of the farm activity. Because of this ambition, the company has developed an adjustable radiant floor system by means of a remote control device heating through the surface of the farm floor while keeping the concrete floor at a comfortable temperature by means of a network of hot water tubes. 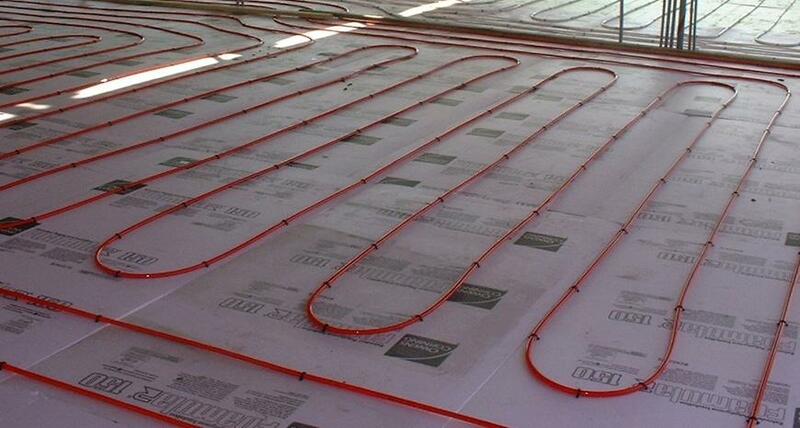 The kind of heat emitted, the uniformity in its distribution and the optimized use of space, they all imply considerable advantages for the radiant floor installation. Besides, this kind of system enables bearing in mind a certain energy saving and mainly, an excellent condition of the farm floor, therefore, the facilities come up to be more sustainable from an environmental and economic perspective. What advantages do we take with this system? Thermal uniformity along the farm building, for a homogeneous distribution of the poultry. Heat is directly conducted towards the animal by reducing the heat loss through the roof and because of ventilation. Withdrawal of the internal oxygen consumption. Combustion gases are not generated inside the building. Problem solution to the “burned legs”. Adaptation to any kind of energy and paving. Origin of the heating source. EXAFAN advanced management and control systems optimize the performance of its heating systems, interpreting so remarkable factors such as calorific inertia, building thermal insulation coefficient, and temperatures (either environmental or external), this way, it acts on the auto – regulation phenomenon of the radiant floor while achieving considerable energy saving, since radiant floor heating only contributes with heat when it is required.